We seek out unique expressions of American whiskeys that we find to be particularly delectable and buy an allotment. The whiskey you receive in our club is meticulously taste-selected by our devoted staff. It is unique to D&M as well as your personal collection! By joining our club, you will receive 1-2 bottles every 3 months of the best that American Whiskey has to offer - shipped right to your home or office along with background material on the producer and our staff’s tasting notes on the product. Fillmore-Sacramento Bourbon 9 year Port Barrel, Our very own bottling:The nose, as one would expect with a port aged Bourbon, shows an ample amount of sweet spices with aromas of cinnamon, cardamom, clove, toasted coconut, a savory rosemary, oak, and a sticky bun/ coffee cake aroma set. The palate is quite rich with dried red fruits, rye spice, oak and a present but not overwhelming red wine tannin note. 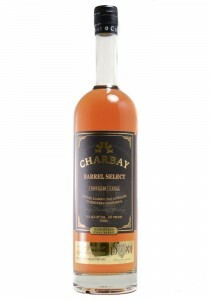 2009 Marko Karakasevic launched the Charbay Distillery in Ukiah California. 2011 Marko got his hands on 6,000 gallons of Bear Republic's Big Bear Stout. which he turned into 590 gallons of distillate, enough to fill 10 barrels. This 7 year old shows aromas of sweet malt, dried stone fruits, candied orange peel, cardamom, thyme, and cinnamon on toast. The palate has a sweet spice combo with dark bread, wood, chocolate, orange, cardamom and vanilla. From the farm to bottle model out of Spokane, Washington:The mashbill on this is 60% corn (grown by the local Hutterian Settlement), 20% wheat, and 20% barley. The nose shows fresh grain, leather, salted caramel, tropical fruits, and just there pepper. The palate has a great texture with a rounded mouthfeel and shows an initial hit of pepper (almost Szechuan peppercorns) with salted caramel and pineapple. The first Single Barrel of 1792 Bottled in Bond available in California. The nose shows espresso, all spice, dusty oak, caramel popcorn, malted milk balls and just there rye spice. The palate shows more of the rye influence with rye bread, apple pie filling, pepper and just there malt ball notes. Michter’s 10 Year Old Single Barrel Bourbon. This is Barrel Number 13G130, and it is a rich deep amber color. The nose is full of notes of butterscotch, caramel, candied fruits and orange zest. The palate is as rich as the color, with toffee, black licorice and dried fruits. The palate is also where the rye shows itself with, spice, tobacco and cinnamon making this a very complex mouth feel. The finish brings a dark chocolate note. Willett 18 Year Old, Bourbon Distilled in 1993, this 18 year old has wonderful aromas of coconut, Brazil nuts, crème brulee, and roasted almonds. The palette is fully loaded with bananas foster, ripe red fruits, candied oranges, and caramel. A great spiciness bounds through mixed with fruits and a floral note on the finish. A truly big and bold whiskey! This shows aromas of sweet malt, dried stone fruits, candied orange peel, cardamom, thyme, and cin..